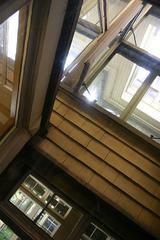 For most homeowners, remodeling their home is half exciting and half agonizing. You may go into the process excited about the end result, but often times the lengthy, messy process turns into an inconvenient chore. In an ideal world, home remodeling would be finished instantly, allowing homeowners to continue on with their lives in a perfect dream house. Despite the stereotypes, some homeowners have embraced remodeling wholeheartedly, even famously. The elite Winchester family is one of these remodeling-crazed households. 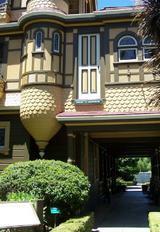 Their 40-year remodeling obsession led to the creation of the Winchester Mystery House. Though the idea of decades of building and remodeling is nothing short of a nightmare for most, this constant remodeling has produced one of America’s most beloved legends and tourist destinations. Following the death of William Winchester and his daughter in 1881, Widow Sarah Winchester is to have visited a medium who instructed her to travel west across the country and build a home to house both herself and the spirits of those who died from Winchester guns. With her enormous inheritance, Sarah left her home in New Haven, Connecticut and settled down in San Jose, California to begin work on what would later become the Winchester Mystery House. Winchester House, Detail Design & Cabinets, remodeling designs and expert contractors. She purchased a farmhouse and hired builders to construct the never-ending mansion intended to appease the spirits who supposedly haunted her. The legends claim her home contains unusual characteristics such as doors to nowhere and staircases to the ceiling in order to confuse the spirits in hopes they’d leave her alone. However, many believe it was her haphazard approach to design that led to these peculiar features. Though many believe Sarah was severely depressed and simply constructed her Victorian mansion to occupy her time, others think there is truth to the legends and that Sarah Winchester may have been obsessed with the occult and her dramatic haunting. Impressive, awe-inspiring and perhaps a little mad, the Winchester Mystery House is one of America’s most famous landmarks and the subject of numerous rumors. Though the true reasoning behind the home’s bizarre design may never be known, the legends have inspired tourists to flock to the house in droves. Following Sarah Winchester’s death in 1922, construction stopped for the first time in more than 40 years. Months following her death, the house was sold to an investor and opened to the public, enticing visitors of all walks of life to take a tour, including celebrities like Harry Houdini. In addition to the mob of angry ghosts killed by Winchester guns, the public has concluded that the Winchester family itself may even haunt the premises. 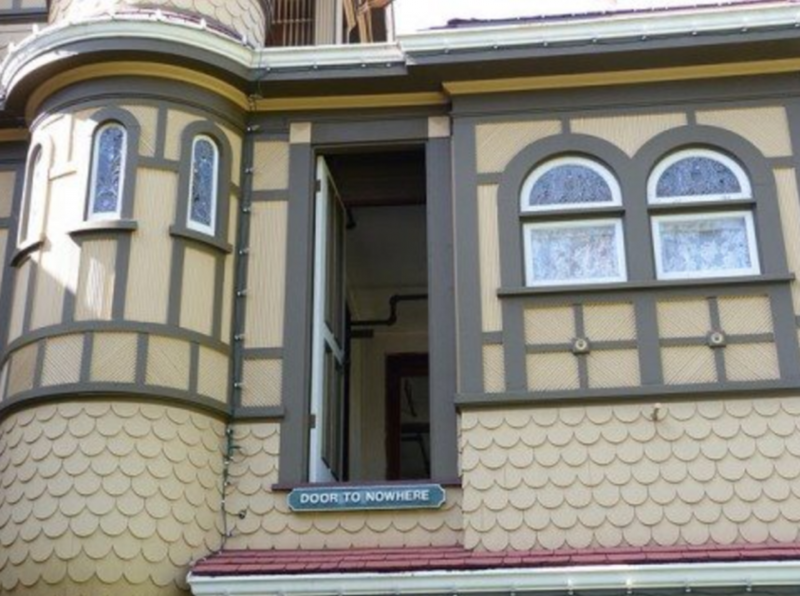 As evidenced by Sarah Winchester’s outrageous design choices, the guidance of a design professional can go a long way in creating your dream home and avoiding remodeling nightmares like the Winchester Mystery House. 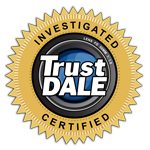 Dunwoody residents can trust their home remodels to the experts at Detail Design and Remodeling. Our designers will meet with you one-on-one to establish your design and remodeling goals before ever beginning construction. Contact us online or call 770-379-0446 to schedule your consultation today! 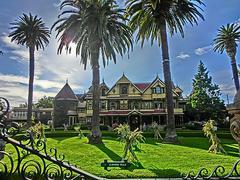 Visit the Winchester House online for more interesting and unique pictures. Coming soon from CBS Films is the supernatural thriller WINCHESTER, starring Helen Mirren and Jason Clarke.